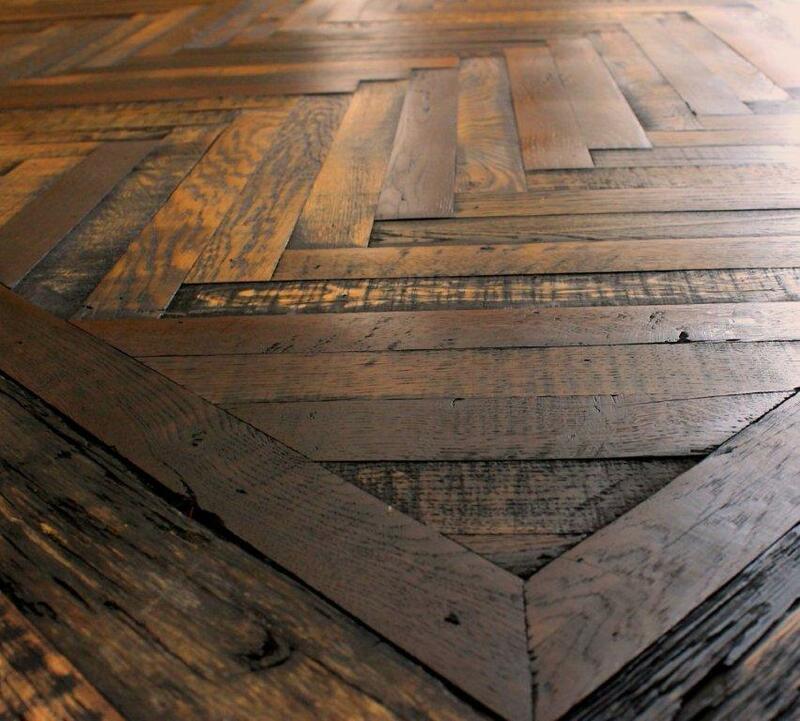 This incredible herringbone floor was produced from reclaimed European oak taken from the wine industry (barrels, racking systems, etc). The veneers were sawn and then glued to Baltic birch plywood to create this engineered wood floor. 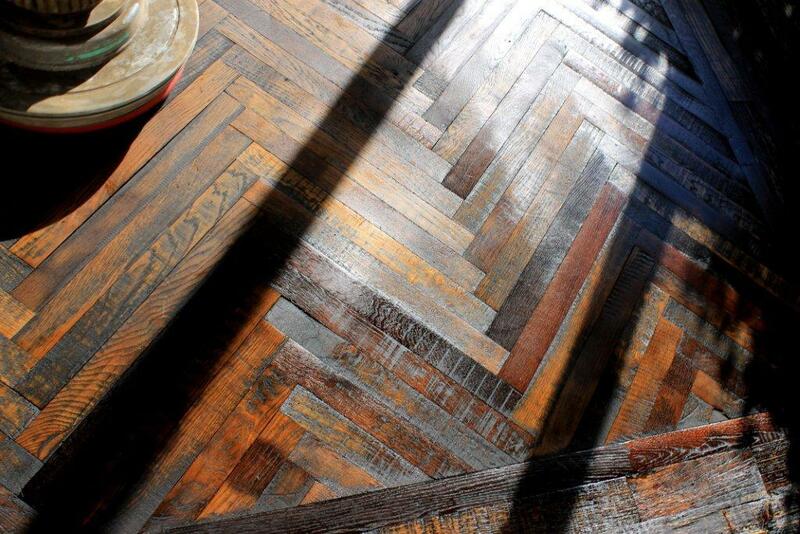 Reclaimed European oak wood flooring in a herringbone pattern by Fontenay. The product has what I’d call purposeful imperfection built into the design. The thickness is random gauge meaning there are slight height differences between planks. I’m sure you’re asking why would anyone purposefully mill a wood floor with varied tolerances and the answer is authenticity. If you’ve ever seen a true 100-year-old floor this height variance is usually visible. 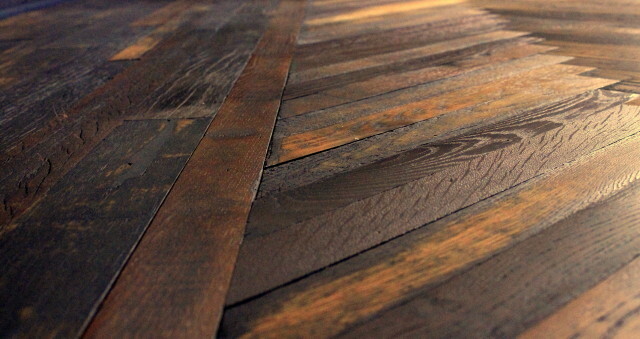 The planks were hand-honed and then finished with hand rubbed oil. No stain or coloring was used, this is the natural patina. For information on the product contact Rick Merwin at Fontenay.